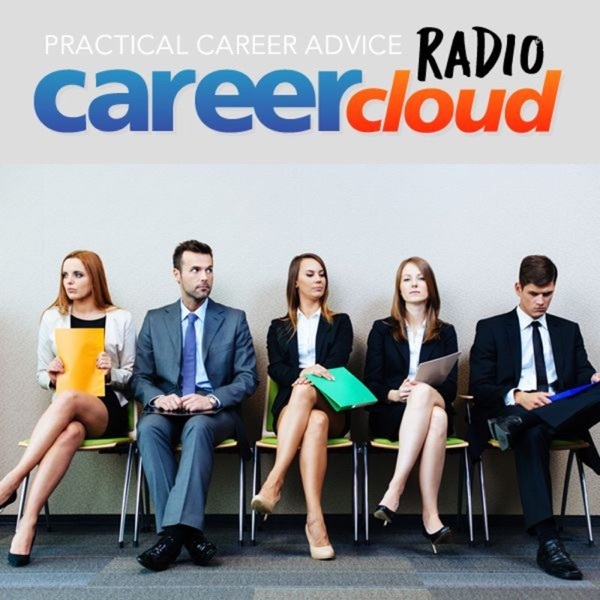 CareerCloud Radio is the best career advice podcast out there. The host Justin Dux asks insightful questions and the guests all provide actionable insight into the job search process. If you're looking for work this podcast will help you navigate through the process. I just had the pleasure of listening to Justin's podcast with Brian Robben where he talks about the Golden Resume. I've also listened to the podcast with Stephanie Brown, Author of Fired, Why Losing Your Job Could Be The Best Thing That Ever Happened To You and the podcast entitled Sound Interviewing Advice with Amie Thompson. Thanks Justin and Chris for doing all you can to help job seekers. Host Chris Russell is an excellent host that interviewing different recruiters, career coaches, resume writers and job seekers. This podcast gives vital infomation, tips and advice. Features stories of individuals that have been through the job search that are easy to relate. This podcast is a crucial resource for thos looking for a job or career change. The host of Career Cloud Radio highlights all aspects of careers in this can’t miss podcast. The host and expert guests offer insightful advice that is helpful to anyone that listens! Through the many practical tips and engaging interviews Chris gives, this podcast has helped me reframe my vision and strike a path to help realize my job-seeking goals. Can't thank CareerCloud enough for producing and posting these podcasts! Carry on! Listeners will get many practical job hunting tips from this long-running podcast hosted by recruiter Chris Russell (He's also an expert in job boards and HR technology). He also talks to his guests -- recruiters, career coaches, resume writers and other HR leaders -- about how they do their own jobs. Those conversations will give job seekers insights in how these professionals work and what to expect when using their services. I have an interest in this topic, so it's been one of the few podcasts that I have both stayed subscribed to and regularly listen to. Chris does a good job with the interview questions, but probably more importantly, he attracts a variety of relevant guests, who are personable and moderately entertaining to listen to. I noticed an older review below commented on the audio quality being less-than-ideal. I think that must have been a problem that Chris addressed, or else applied to a particular episode. I've listened to the show since 2015. I find the audio quality good, probably above average of the podcasts I listen to. Nice job, Chris and Thanks. Chris puts out excellent work in the realm of job searching and improving your career. As a career coach, I'm constantly learning something new that I can then pass onto my clients. His guests are varied and the topics are very relevant. Great work, Chris! I'm one to get to the point. So Yes, this is a great podcast. Chris is a charming host, who has the knowledge and know how when it comes to job hunting. As do his varied guests. Every episode, I find myself learning something new, or thinking of things in a new way. Helping me to improve everything from my cover letter, to my expectations. Again, to the point. It's good. Give it a listen. CareerCloud hits all the points I'm looking for in a job seeking type podcast. I'm pretty set right now, but you never know when the bubble will burst and I'll have to be out on the prowl for work. Listening to a few episodes, I can say I've learned quite a bit regarding what goes into job hunting. And most importantly, I've gotten more than a few helpful tips on how to actually land a job once I hit the interview phase. It's information I'll be glad I have when I do need it. And I can say that with certainty. Much obliged for the information Chris. Keep it up! Such a valuable podcast for someone looking for real help in their job search! Great advice on tactics, mentality and goals in penetrating the work force, no matter what your field. I would definitely recommend this to anyone looking for that extra edge on the job hunt, ESPECIALLY in this economy! looking for a job? Listen to this! If you’re looking for a job, this is a good podcast to listen to. The advice is specific and actionable, which is a nice break from what you normally hear/read from people talking about this subject. Definitely worth a listen for those who are in the market for a good job! Chris has some great information! I love listening to this show. It's been really helpful. A hidden job seeker gem. Chris is an extremly knowledgeable and respected person in the recruitment world. The information he provides is invalueable. My favorite series is how I got my job. A great one to listen to and see other job seeker stratgies. If you are looking for a job, look no further than this podcast. It gives crucial information, tips and advice on acquiring that dream job. With real stories from those who have been through the search themselves, it’s incredibly easy to relate. I suggest this to everyone looking for their first job, a new job or a career change! Excellent and relevant job seeking advice. No gimmicks, easy listen, helpful! Chris has news and ideas you can use. The Guerrilla job hunting secrets podcast was outstanding - I have never heard anything like it! This podcast provides useful information! Is one of the best podcasts for job hunters. My favorite episode so far was guerilla job hunt, it gave me great tips on how to go about getting an interview.Definately recommend!!! I've been listening since the beginning, these career podcasts are a must have for any job seeker. As a recent victim of a lay off (and I'm an HR manager) .... this is a great resource for my job search and my professional tool box as well! Thank you. Secrets of the Job Hunt is my newest tool in my job hunt. Just ran across this podcast via twitter. Thought I would check it out and was pleased with the content and the great tips for networking as a major tool in the job search. Great timely podcasts for jobseekers! A great non-corporate podcast that gets to the heart of the matter, not sugar coating issues and giving real-world advice for changing times. Keep it up! I just found out about Secrets of the Job Hunt today. As the Marketing Manager for a group of internet job boards, it's so important to stay on top of everything going on in the employment industry. There are so many podcasts out there, but this is one I will definitely keep at the top of my list. I found the first two so interesting and insightful, I'll have to pass it on to my colleagues! Great job. Really gives you a different perspective on the job search, which helps you present yourself in a well-rounded, yet dynamic way. Afterall, the best way to get the job of your dreams is to stand out! When I get turned down or interviewers neglect to see what I can bring to the table, I turn to "Secrets of the job hunt" and correct my mistakes. Good luck out there! Secrets of the job hunt is a great service. We recommend it to all users on our site (job seekers, schools/alma maters & employers). It provides valuable information to job seekers of all ages. It is also serves as a valuable resource for employers by giving them up-to-date insights and trends in the employment industry. SavvyPaper has been a member of Secrets of the Job Hunt for about a year now. A great website for anyone looking for a job or how to improve networking skills, etc. Secrets is also one of the few sites that supports videos, which is an excellent medium to use when looking for a job. This is irreplaceable for anyone who wants to find a great job that they will actually enjoy. Great Podcasts for any Jobseeker or Employer! I learn a lot by listening to these podcast. Interesting perspectives and up to date information. I listen to Secrets of the Job Hunt to get an insight into what qualities Hiring Managers and Recruiters are seeking. I then forward this information to potential and current clients. CM always provides detailed information on new job sites for job hunters. Excellent content and excellent guests! You have done a great job of finding compelling topics. I was so excited to hear your podcasts. Your audio, however, is at times difficult to hear. Furthermore, sometimes your questions are unintelligible. As such, this does not make me want to comeback. Great podcast for jobseekers. Well worth the listen. A must-subscribe for job seekers. The content of the podcast is very good and useful, but the quality of the recordings and production are terrible. One particular episode is of a conference or speech that someone other than the podcast creator gave, which appeared to be recorded with an iPod's voice recording accessory. I'm not sure that's even legal. To the creator: Keep up the quality of the content; improve the quality of the production. Secrets of the Job Hunt podcasts always provide me with valuable, real world advice. As a college student, my focus always seems to be on schoolwork, interviews, and finding "that" job. The advice really helps me to broaden my focus in my job search. Pretty cool episodes featuring people and information for your job search. Gives real, practical advice and tips for your career. Best Job Hunt Podcast on iTunes! Believe me when I tell you I’ve listened to at least a few episodes of every career / job hunt podcast out there (and there are a BUNCH of them) But "Secrets of the Job Hunt" has given me more good / real-world ideas in the last 2 days than any I’ve heard. The thing about this podcast is, it actually applies to the jobs I'm looking for, the kind of search I'm conducting, the problems I'm running into. This podcast actually applies to the real world. And the other thing; you don’t feel like you’re listening to some kind of Reverend-Buy-My-Course-Motivational-Speaker kind of guy, you’re listening to a real world kind of guy who knows what it’s like out there and has some really good ideas.